Born and raised in Colombia, Karen moved to sunny Vero Beach in 1999, a remarkable place to call home. She speaks fluent Spanish, which comes in handy living in Florida. Early in her career, she worked in the banking industry for over 10 years. Enthusiastic, passionate, self-starter by nature, she realized that she needed more and decided to pursue a new challenge: Real Estate. Faithful and committed to become successful, Real Estate was always a career goal for Karen. But “Success doesn’t come easy. It takes effort, hard work and determination” she says. This is why she is driven to help each of her clients achieve their own goals. She looks forward to exceeding their expectations every day and helping them achieve success. Buying or selling a home may be the biggest event of your life, and in this supercharged marketplace, you need more than just a Realtor®. You need a professional with the unique training, education and know-how to create opportunities, identify potential risks up front and make your home buying or selling experience a great success. Buying a home isn’t simply about paying the lowest price. And selling a home isn’t just about getting the money you asked for. Along the way, there are fees, taxes and numerous other costs that can impact the bottom line of your home purchase or sale. With that in mind, Karen has the expertise, education and knowledge to make sure your home purchase or sale is a success in every way. She will help you understand the marketplace and negotiate successfully on your behalf, whether you are buying or selling, or both. She knows how important quality service and constant contact is, which is why her Commitment to Excellence is to provide clients with a great home buying or selling experience – before, during and even after the transaction. She will keep you informed throughout the process, and well beyond. She wants you to feel relax while she takes care of everything. Her biggest reward is in seeing her clients smile after helping them to buy or sell a home. When she’s not assisting her clients with their most important real estate needs, Karen enjoys spending time with her husband, Tomás, “my greatest gift,” she says. She believes in fitness, which is why she and her husband commit to daily exercise, whether is running, biking or walking on the beach. She also enjoys reading and dancing with her husband. She holds the professionals designations of Graduate Realtor® Institute (GRI) and Certified International Property Specialist (CIPS), which proves that she believes in education and improving herself to help her clients, both buyers and sellers. Karen’s CIPS designation allows her to think globally and work locally – creating opportunities in the local market to assist in an international transaction, assisting an immigrant or foreign investor or helping a US resident purchase property abroad. 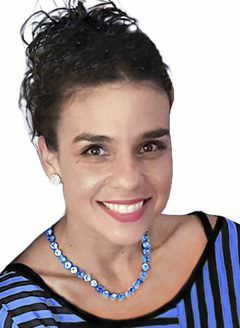 She is an active member of the National Association of Realtors, Florida Association of Realtors, National Notary Association, Indian River County MLS Board and member of the Global Business Alliance of the Palm Beaches and Treasure Coast. Whether you’re buying or selling a home, Karen has the expertise to make sure your investment is a success.